« Did Jesus exist for minimalist and Jesus Process member Philip Davies? Tags: Bart Ehrman, Niels Peter Lemche, Rudolf Bultmann, Thomas L. Thompson, Thompson: Is This Not the Carpenter? The real purpose of myth is not to present an objective picture of the world as it is, but to express man’s understanding of himself in the world . . . . Myth is an expression of man’s conviction that the origin and purpose of the world in which he lives are to be sought not within but beyond it — and that this realm is perpetually dominated and menaced by those mysterious powers that are its source and limit. Myth is also an expression of man’s awareness that he is not the lord of his own being. It expresses his sense of dependence not only within the visible world, but more especially on those forces which hold sway beyond the confines of the known. Myth, in this discussion, refers to an ancient worldview of reality that we find expressed in the ancient literature. Thus understanding the nature of myth in this anthropological sense makes it an essential tool in correctly analysing and interpreting ancient stories. The problem is that the gospels are not about an historical figure of first-century Palestine. They deal with something else. This critical point can indeed be found among New Testament studies — here and there — but it is generally lost from view among those scholars are are preoccupied with finding that elusive Pimpernel. This brings to mind the anthropological study by Philippe Wajdenbaum who applied Claude Lévi-Straussian structural analysis to the literature of the Old Testament, demonstrating its debt to the wider mythical world of the day. (Discussed on this blog in posts archived here.) The Gospels are indeed an extension of the literature of the Old Testament. Many scholarly works have established the clearly close literary and thematic ties between them. The next step, perhaps, is to test them against a similar structural analysis of the myths. There are an increasing number of literary analyses emerging (see the contributors and citations in MacDonald, Brodie) but I don’t think that’s quite the same thing, though nonetheless it is obviously very significant. But this is me rambling. Back to Pfoh . . . .
Amen! The reason there is scarcely a single detail of the life and teachings of Jesus that all scholars have been able to agree upon is because they are speculating on the basis of an assumption that Jesus was historical. Let’s understand the nature of the evidence we have and address that, and not “faithfully” assume the evidence is from a certain provenance and that it is an expression of historical traditions. The reality of the revelation present in Scripture depends on rational (historical) truth. So why do scholars engage in this quest to find a rational historical core beneath a mythical tale? Pfoh believes the answer is ideological. In other words, any biographical data about the real life and teaching of an historical Jesus is irrelevant to the mythical narrative in the Gospels. This may seem hard to grasp at first, but when we look at “cultural memory” (as Pfoh does later in this chapter) the point will become clearer. The sifting of history from myth, so typical of liberal theologians of the nineteenth century, has been transformed into a circular argument, in which the Gospels’ theology is made dependent on a historical Jesus, while the historical details of Jesus’ life depend on the Gospels’ stories! Scholars are aware of “social, political, ideological and intellectual contexts of [previous] scholarship” and so recognize its historical setting, but Pfoh observes that they are less generally aware of the way that such historical setting has in fact determined the results of that scholarship. Old Testament studies of Israel have been challenged over the last forty years by critical perspectives that have obliged a general shift away from the tendency to rationalize the mythical tales of Israel in the expectation of arriving at some “historical core”. The same critical perspectives need now to be embraced among New Testament studies, Pfoh says. How can we possibly know what Jesus said and did when all we have is a mythic set of stories?In seeking to find the real, historical person behind these narratives, we are using these texts as sources for a figure that they themselves show no interest at all. Pfoh draws an telling analogy with the problem facing the historian of ancient personalities. This is a noteworthy analogy because it faces full-on the clichéd criticism that insists that a mythical overlay does not necessarily mean there was no historical person to begin with. Of course we have many cases where myth was obviously applied to historical persons. But it does not follow that wherever we read myth that there must have been a historical person behind it. What the criticism overlooks is that myth and historical reality are distinct concepts. Myth is not defined as the result of stretching out or exaggerating the events of history (that’s legend, not myth); it is the creation of meaning. If that creative act is occasioned by an historical event or person or not is a quite separate question. It cannot be answered if we have nothing but the myth itself. But again this is me commenting. If such personalities [ancient Egyptian or Assyrian depictions of the kings] are constructed within the realm of mythic motifs, distant from an historicist recalling of reality, how can the modern historian deconstruct what is portrayed in ancient stories and attempt a separation of the ideological features of the given figure and its individual features, without ‘breaking’ it? Similarly, to paraphrase Thompson from another context, if you remove the miraculous from the biblical stories you don’t end up with history; you are only left with a broken story. Or as Douglas Adams said, if you take a cat apart to see how it works, the first thing you have is a non-working cat. The mythic persona of Jesus represents an insurmountable obstacle to any knowledge of a historical Jesus. Whether this creation is based on a real historical person is beside the point . . . This section of the chapter drives home Pfoh’s central point, and one that I made above in my own commentary. How do we tackle the question of our “purely literarily invented Jesus”? The anthropologist speaks of emic and etic perspectives. What the author of a narrative in an ancient society might say is “real” will need to be studied and explained by the modern scholar in more “objective” or “culturally neutral” terms. Ergo, from this perspective one is excluded from any debate about whether or not Jesus was an historical person. The simplest explanation of what is meant by cultural memory is found in a work footnoted by Pfoh (though not elaborated by Pfoh as I do here), Memories of Ancient Israel by Philip R. Davies (whose views on Jesus I discussed in another context in the previous post). Davies invites us to think of Christmas and what it brings to mind today. As a rule, among the stories that collectively come to us through all our many social media channels are those of Joseph and Mary traveling with a donkey to Bethlehem, the newborn Jesus being placed a cattle feed-trough (we never call it that, though, since it’s always a “manger”), three wise-men with gold, frankincense and myrrh; an angel and shepherds tending their flock by night; a star and Herod cruelly ordering the massacre of the infants; and so forth. Anyone who thought he could reconstruct the “true” historical events surrounding the birth of Jesus from such annual celebrations of these cultural memories would rightly be dismissed as incompetent or crazy. These images (“collective/cultural memories”) are revived every year among all of us who are familiar with the Christmas custom. And the point of this to Pfoh’s discussion? But now comes the hard part, the point I have attempted in my own naïve way to articulate so often till now. Jesus as Western Cultural Memory’s Figure. The discussion [that follows] deals precisely with the place Jesus has in Western culture and, no less, in Western (especially religious) scholarship in search of the historical Jesus. Pfoh demonstrates this through a survey of the three quests we have witnessed for the historical Jesus. This was fueled by the pure rationalist spirit of the Enlightenment: peel away the miraculous and the mythical to uncover the entirely rational/historical persona of Jesus. Critical historical research . . . must shake off all theological insight from its methodology. There is a need in the modern Western world for Jesus to be historical. Otherwise, as noted already, religious dogma based in a mythic world is threatened with the loss of its essence and legitimacy. The only change that one might detect from the previous quest is that a theological need has been replaced by what Pfoh describes as a religious one. and the rest . . . .
His role varies, but it is always a social role that he is filling. He is always a social-religious exemplar. He has social or religious relevance — several of these Jesuses represent a social past for which moderns themselves pine. (I return to this point below.) This is the fundamental social impetus behind the production of these Jesuses of the Third Quest. A moment’s reflection even on the “failed apocalyptic prophet” figure of Jesus, I think, also serves a positive function for Western religious institutions very well indeed. Note, for example, the extent to which Bart Ehrman introduces his own study of Jesus as an apocalyptic prophet with comparisons of modern movements that he links back to the time of Jesus: Edgar Whisenant, Hal Lindsey, William Miller, Joachim of Flores, Montanus, Jesus. But despite their failures and even outright embarrassing nonsense, Ehrman naturally finds good, well at least in Jesus. Ehrman explains that the apocalypticism of Jesus was essentially an ethical idealism that hoped for a better world and that manifested itself by acting out that better society in anticipation: hence the respect for, embracing and exaltation of the poor and outcasts of society. Though the prophecy failed, good was produced. Subsequent generations were able to use the build on this. They downplayed the failures and built upon the good. Is not this a Jesus for those today’s generations disillusioned with much in Christianity, especially its many failed leaders and misguided (even damaging and embarrassing) efforts? Ehrman’s Jesus certainly undermines the traditional Jesus of the orthodox faithful. But does he not fill a need for the modern disenchanted? Does not this Jesus represent all the good that agnostic Bart Ehrman says he finds in Christianity? I understand that to mean that what is needed is not to prove a cultural given, but to find a social relevance and justification for that given entity. are cultural rather than historical and indeed not based on any historical evidence. They have to do more with Western culture than with the nature and contents of ancient sources. There is a need in the modern Western world for Jesus to be historical. Otherwise, as noted already, religious dogma based in a mythic world is threatened with the loss of its essence and legitimacy. Biblical scholarship cannot be divorced from the wider socio-religious world in which it thrives, particularly in the United States (and Europe, adds Pfoh): a sociology of this scholarship is long overdue. (The historical viewpoints New Testament scholarship argues, its use of the theological texts as cryptic historical sources, is all part of the wider worldview of believers generally.) As precedents for such a study Pfoh cites J. Clifford and G. E. Marcus, eds., Writing Culture: The Poetics and Politics of Ethnography (1986), and P. Bourdieu, Homo academicus (1988). Theological argument has become a cultural feature, assisted by the modern rational understanding of Jesus in purely historical terms. Pfoh sees, then, the first and third Quests as being theologically and religiously motivated attempts to find a Jesus who is meaningful and consistent with modern understandings and needs. To this end scholars have been unwilling to give up the historicity of Jesus for the one that does in fact exist, the literary Jesus of the Gospels. endeavours of the scholars, whether religious or not, are also often overtly and covertly theological in their methodological framework. That is to say, they are theological in their need to see each of these two ‘founder’ figures as the unique and central raison d’être of the respective movements that claim them. Similarly, the need to see the extant sources as historical texts, albeit ones in which the historical facts lie hidden, shares the worldview of believers — and hardly seems befitting of those who consider themselves sceptics. Of course such an approach to historical studies fails to recognize the true “otherness” of the past and tends to “discover” only what scholars “recognize” as their own. (Pfoh discusses Thomson’s explanations of this methodological point here.) This brings to my mind Schweitzer’s observation that scholars find their own reflections in their Jesuses; Pfoh’s point is that these Jesuses are fulfilment of deeper social needs and institutional interests. This, of course, reminds us of Julien Benda‘s critique of public intellectuals of his day. This search for Jesus is thus more a reflection on the present status of Christianity in the Western world (especially in its northern hemisphere [note Pfoh is writing from Argentina]) than a critical attempt to understand the historical process that led to the rise of Christianity. In this way, any faith-driven search for the historical Jesus creates an apologetic, pseudo-historiographical discourse intended to strengthen a modern religious need for a historical Jesus. Maybe one of the first “unexpected” discoveries might be that Christianity did not even originate, as the four canonical story books tell us, in Galilee, either — and that the setting of Galilee is itself a metaphor drawn from Isaiah 9:1-2. Posted on 2012-09-02 13:35:27 GMT+0000 by Neil Godfrey. This entry was posted in Biblical Studies and tagged Bart Ehrman, Niels Peter Lemche, Rudolf Bultmann, Thomas L. Thompson, Thompson: Is This Not the Carpenter?. Bookmark the permalink. The “theological necessity” for the Historical Jesus has exactly the same social and ideological function as the “theological necessity” for geocentrism had for the medieval church and the “theological necessity” for young earth creationism had for opponents of evolution. Medieval theology held that Christians go to heaven when they die, and that heaven is a place above the earth. Galileo shattered this framework, destroying the first pillar of supernaturalism. Theology held that Christ was the ‘Second Adam’, in Paul’s terms redeeming the sin that Adam had brought into the world at the fall from grace. No Adam, no Christ. Darwin shattered this paradigm, showing that Adam was not the historical first man, destroying the second pillar of supernaturalism. Theology holds that Christ was a historical individual, described in the Gospels. Mythicist scholars are now showing that this myth is in conflict with evidence, and has no positive evidence to support it, shattering the third pillar of supernaturalism. A priori theology – starting from ‘necessary truth’ – is nothing but political fantasy. Its emotional sense of necessity is no more true for the Gospel story than for geocentrism or creationism. On another point, Pfoh is right to critique Bultmann’s theory of demythologisation. Bultmann’s cited definition of myth as “an expression of man’s conviction that the origin and purpose of the world in which he lives are to be sought not within but beyond it” takes a common attribute of myth and wrongly makes it the foundation. Myth does not have to reference a supernatural transcendence. Rather, as Rollo May put it in his book The Cry for Myth, myths are the stories that give meaning to our lives. To remove myth is to remove meaning. All that can be hoped for is to replace a false myth with a true one. Bultmann was captured by the myth of secularisation, a modern story that can be just as seductive and emotive as any sacred tradition. And the myth of “Jesus Christ” is an ubiquitous archetype that serves a broad swath of modern western society. “Jesus Christ” means different things to different people, from evangelicals invoking the myth of Jesus of the Gospels to promote a traditional lifestyle to the “historical” Jesus Christ, revolutionary/reformer/social critic who can umbrella Che Guevara, Mahatma Gandhi, MLK, etc. Did “Jesus Christ” exist? Maybe 90% say yes, but each one is referring to a different Jesus, the Jesus that serves their personal psychological needs. No one needs “WWJD?” explained, yet you see that bumpersticker joining “Imagine World Peace” on one car and “Abortion Stops a Beating Heart” on another. It is equally at home with Obama and Romney stickers. “Jesus Christ” is a foundational archetype, a pattern for all of us. “Judge not,” “Give to Caesar,” “Turn the other cheek,” “Do unto others,” “If you are without sin…,” These are the maxims of society. That is purpose of Jesus Christ. Jesus gives us a meaning, whether he existed or not. Corrected. Apologies for the careless slip. from Neil’s review (thanks! ), it sounds like a great chapter. I particularly liked the legend vs. myth distinction, whoever deserves credit for that. I think that was me — a little illumination that lit up in my head as I wrote. 1300–50; 1900–05 for def. 4; Middle English legende written account of a saint’s life < Medieval Latin legenda literally, (lesson) to be read, noun use of feminine of Latin legendus, gerund of legere to read; so called because appointed to be read on respective saints' days. IMO, a myth is an official version (orthodox version) of a story posing as an historical version. Nowadays, for example, the winner's version for the war in Iraq was the existence of WMDs. (or the US Civil war was fought over slavery, etc.) Myths are never totally true and they begin as stories that may become myths if adopted by the officials. What you are showing here — as much as I did with my own reflections on one type of legendary material in the post — is that the terminology is fluid in popular usage. Specialist language is generally a requisite in the scholarly disciplines. And sometimes even within the one discipline different scholars can propose different definitions for some terms, as I well recall from my student days. No matter, of course, — some concepts are always blurry around the edges and it only matters that we understand what each one specifically means to follow the argument. New Testament studies are long overdue for a major paradigm shift: from Q-Theory based Historicism, to Mythicism. And to help this, the New Mythicists need to be aware of considerable support, from the well-established academic subdisciplines, of “Mythography” and Folkloristics. Phoh’s chapter begins to help make this clear. Mythicism, the application of Mythography to the New Testament, was on its way – until a few decades ago. When Fundamentalist “scholars” discovered that it was all too convenient, politically, to advocate an Historical Jesus. A position that allowed scholars to appear to be pious enough; appearing to acknowledge at least that “Jesus is real.” Even as however a scholar could allegedly be almost as critical as one would want to be, about exactly who and what that Jesus was like. Historicism in fact has predominated in religious study in recent decades for several different reasons. Not only was it 1) politically convenient in an era of “New Evangelism”; 2) the view that “Jesus” came entirely from the Old Testament and its God – was constantly supported in churches in effect, by traditional “harmonizising” sermons. Sermons that were always at pains to “prove” that Jesus and Christianity were absolutely true, loyal, to the Old Testament god. While any contrary hint that Jesus came, to a significant degree, from Greco-Roman Platonism and Philo say, seemed to show Jesus being impious, and disloyal to Judaism. There have therefore been many cultural biases at work, to ensure the temporary “triumph” of Historicism in religious study. Among other forces,3) the decline of Classics departments in most universities, helped to leave New Testament Studies with no serious cross-cultural information on Greco Roman culture; and created the ethnocentric, provincial “Wholly Jewish Jesus.” A view which was able to ignore all cross-cultural influences from especially, Greco-Roman culture, thanks to the simple fact that Classics departments were being dissolved all over the United States and overseas. Recently however, historicist Old Testament studies at least, recently underwent a challenge from the Copenhagen School of Thom Thompson and others – like Pfoh – and their “minimalist” school. This school at last seriously challenged the historicity of at least. the Old Testament. While this school can help the resurgence of New Testament study. Of a New Testament study that finally is properly based not on problematic and even naive assumptions of the historicity of Jesus. But that finds that “Jesus” makes far, far more sense, when correlated, cross-referenced to, the various cultural beliefs and myths of Greco-Roman and ANE culture. But to accomplish this, Mythicists need to be aware to three forces working against them: 1) the political convenience of Historicism; 2) the convenient interface with traditional conservative harmonizations; that asserted that Jesus was totally loyal to the OT and its god, and that Jesus was Wholly Jewish. And we need to be aware of 3) the decline of Classic departments – and any and all awareness of ties between Christianity and Greco-Roman culture and myths. Which left hundreds of earlier classic references to Greco-Roman, Platonistic Jews like Philo, looking stranded and anomalous In spite of efforts of recent scholars like Earl Doherty to re-link Christianity to Neo-Platonism. The “Jesus of history” has replaced the “Christ of faith” as the West’s leading sacred cow. The latter being no longer tenable, as Bultmann observed, we must cling to the former because popular consciousness cannot deal with the shock of being hoodwinked by a myth for 2,000 years. We need to feel that we are more intelligent than that, and if there was nothing more to the story than redundant oriental mythemes, that should have been uncovered and dealt with hundreds of years ago — such as what happened with the devaluing of astrology or alchemy. The Western mind’s credibility is at stake here. So there had to be an historical Jesus, and anything that questions that assumption is calling into doubt the very nature of Western culture and academia. But Blood, the Christ of Faith is far more tenable than the Jesus of History! Bultmann “observed” no such untenability, he only promoted a dubious ideology of existential demythologisation. Logos theology is about imagining Jesus Christ as a cosmic mediator between humanity and ultimate truth, as the central idea of faith. This is a metaphysical idea that is not touched by the historical analysis of the truth of the gospels. If anything, mythicist analysis bolsters the idea of the eternal Christ of faith, showing how that was the original source for the gospel legends of holy Jesus. Christ started as pure idea, and only later evolved into material person as Jesus in the minds of believers. My own view of Jesus Christ as the imagined avatar of the Age of Pisces is a way of interpreting the alpha-omega cosmology of Christianity against the actual observation of the precession of the equinox into Pisces in Roman times. This slow event occurred precisely in 21 AD, explaining why the legendary Jesus was placed in the time of Pilate. The Christ of Faith as a cosmic alpha and omega makes complete scientific sense as a source of the Jesus story, and involves a complete deconstruction of convention. Contra Bultmann, this cosmic analysis of the underlying basis of faith is better construed as a remythologisation, as a way to restore meaning to the empty stories. The Gospels were subsequently constructed upon the cosmic framework of precession to make Jesus comprehensible for a popular audience. Orthodoxy then ended up nearly obliterating its cosmic source idea from view. This astrotheological reading of the Christ of Faith is a consistent scientific hypothesis, but it is generally ignored for the reasons you and brettongarcia outline here, cultural bias and the credibility of the Western mind. People should feel sheepish for having accepted the Big Lie of the Historical Jesus. It illustrates that homo is far less sapient than we often like to think. Robert, I have given reasons why I do not embrace your thesis that have nothing to do with cultural bias, but have everything to do with method and evidence. Just postulating parallels without demonstrating a real link to the evidence must always remain at the level of speculation. Neil, perhaps you could invite me to outline my hypothesis of the astronomical basis for the Christ Myth as a post? I would be pleased to explain why I find the logic compelling, and would welcome an opportunity for reasoned discussion. The evidence is strong and the method is sound. I see this hypothesis as the unifying piece of the Jesus puzzle, the rejected cornerstone that explains how and why Christianity emerged as the dominant religion of our age, and the real back story for many of the mysterious symbols of Christian tradition. Cultural biases against this claim are pervasive in both the community of faith and the community of reason, and it is associated with a lot of groundless speculation and error, all of which means it gets little discussion. But in my view the precession hypothesis is the scientific wheat among the supernatural tares. Robert, I have given you several opportunities to explain the method and evidence for linkage in comments. I have never rejected D.M. Murdock’s arguments on the basis of “cultural bias”. I am as open to the precession hypothesis in Christianity as I am towards it in Mithraism. There may well be — almost certainly are connections at some level to the “mysterious symbols of Christian tradition” that came to accrue themselves to the religion over time. But parallels are not sources. Suggestiveness is not substantial evidence. Point me to where your thesis is best explained on or offline. Or explain a clear connection with a specific example in a comment. I’m surprised that an actual ad hominem attack is being promoted by scholars. A good argument is a good argument, no matter who advocates it. Sure, you might view it with a bit more skepticism than you would from someone in the field, but again, a good argument is a good argument no matter the source. You note that recent historical Jesus research has produced a great variety of thesis without coming to a overall consensus. But, in mythicism the situation is not much different, is even worse. The thesis of a heavenly savior by Doherty is different of the thesis of Wells and Ellegärd that Paul saw Jesus as a ancient figure, and these is different of the thesis of a pre-christian Jesus by Robertson and Smith, or the thesis of a Jewish mystery cult later historicized by Freke and Gandy, and all of these different from the “sacred mushroom” idea by Allegro. For the radical dutch school there wasn’t even a single letter wirten by Paul! Although I don’t think the wide difference of opinions necessarily invalidate a given view, try to use divergence between Jesus historical views (that I agree, that is a lot of distance from one to another leading to no new knowledge) in favor of mythicism is flawed because mythicist scholars don’t even agree in a basic historical sequence of facts, while historicism does. I don’t see a problem here. There are two basic options. Either an historical Jesus existed, or he did not. In either case, proponents must extract a scenario from the evidence to elucidate their option. 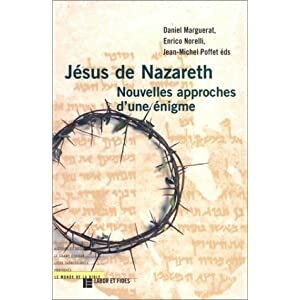 In the historicist option, since there are so many problems inherent in the traditional reliance on the Gospels as actual history, this opens the door to a wide range of interpretation of the overall evidence about who an historical Jesus was. If there was no historical Jesus at all, then we are faced with an even wider range of possible interpretations of the evidence, evidence which has been traditionally slanted in the opposite direction, a slant which must be overcome. Mythicism is thus naturally liable to show an even wider range of interpretation than historicism, until–hopefully and eventually–a particular interpretation gains the greatest probability and acceptance. Ptolemaic astronomy was well established and worked out in detail (even though thoroughly false), while the solar-centric scenario went through a period of flux and increased understanding based on new interpretation of old and new observations. The problem with so many Jesus-identity types being postulated (each supported by some configuration of the evidence) goes deeper than the fact that scholars cannot agree. Any historical identity by definition has an identity — Caesar is historical by virtue of his identity as a member of a particular family and profession; Socrates is deemed historical by virtue of his role as a challenger of ideas. What the different historical Jesus identities is testament to is that Jesus has no known historical identity. His only constant presence is in the myth of the Gospels. Once that myth is rejected there is no known identity-type left. We have myths of Alexander and other historical persons, and once we remove those myths there remains an historical identity — Jesus is the exception. The multiplicity of Jesus identities is testimony to the complete absence of any secure evidence for such a historical person. On the other hand we have multiple mythical or theological conceptions of Jesus from the earliest evidence. But that is not an indicator that Jesus did not serve different groups as a theological construct.